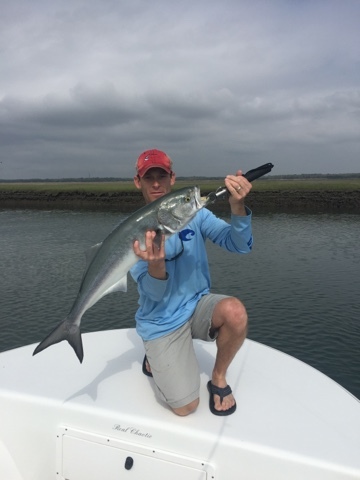 Registration ends May 21rd 6am sharp. 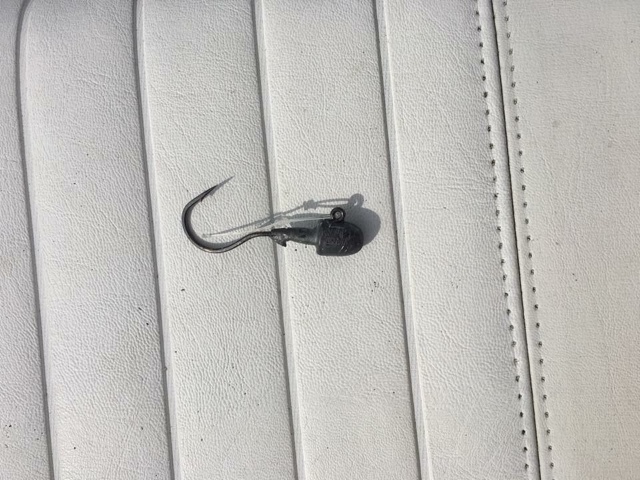 You must register in person at Sea Isle Bait and Tackle. 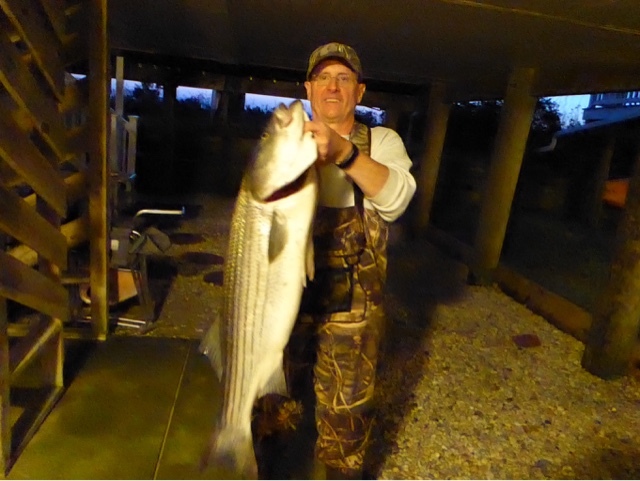 All fish must be weighed in at Sea Isle Bait and Tackle by 5pm sharp May 22th by winning angler. 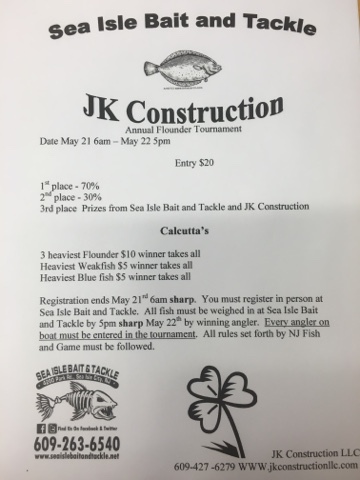 Every angler on boat must be entered in the tournament. 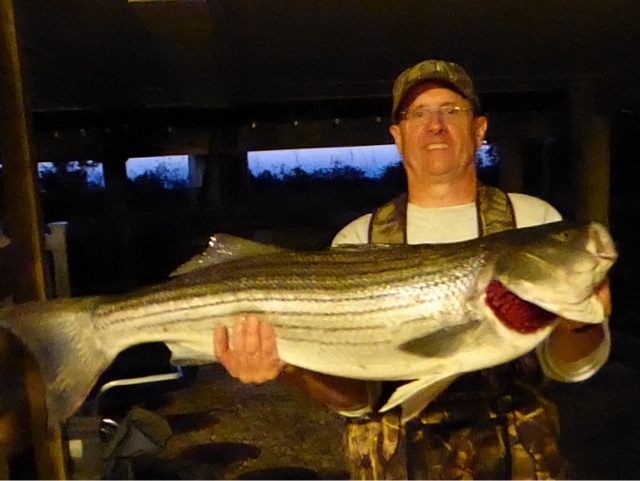 All rules set forth by NJ Fish and Game must be followed. 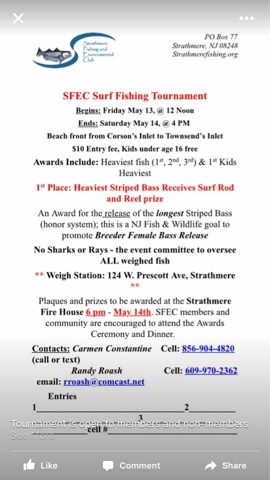 The Strathmere Fishing and Environmental club is having there surf tournament this weekend. 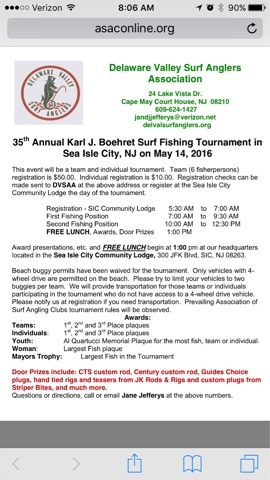 Check out the flier or for more info email rroash@comcast.net This tournament is a good time with great people and better food.